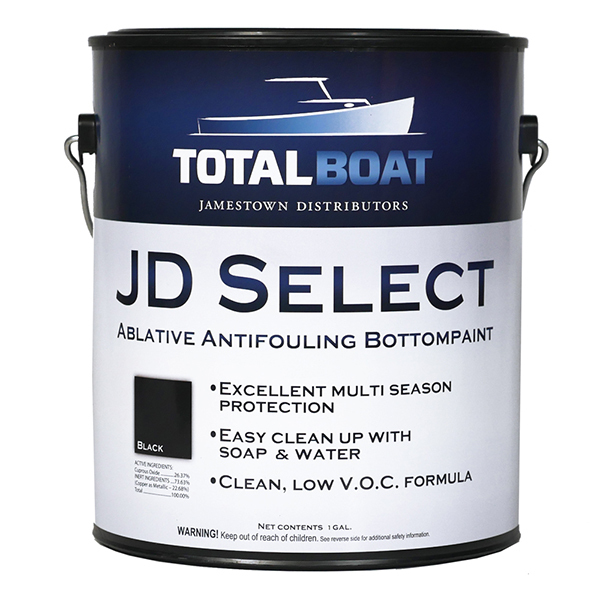 Eco-friendly, water-based ablative antifouling for excellent single-season protection. Low odor, low VOCs, plus simple soap and water cleanup. 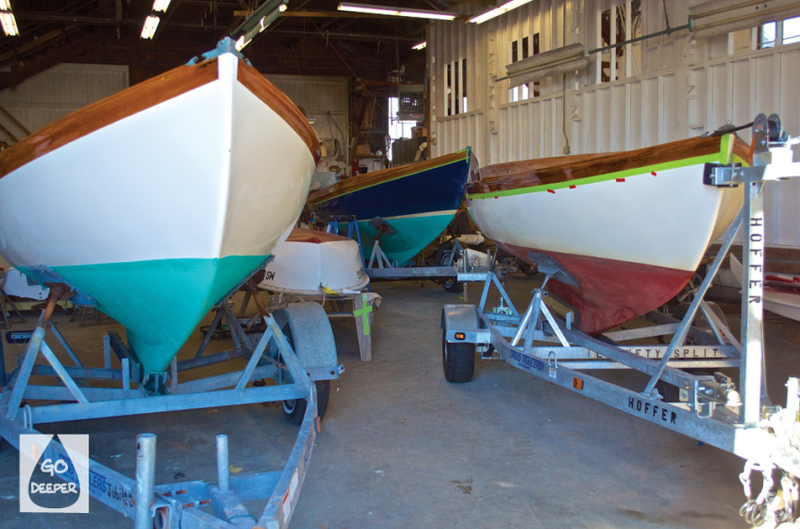 Our most popular bottom paint, year after year. Gallon Bonus: Each Gallon order includes a free roller & metal tray kit, paint suit, 1 pair of latex gloves, an abrasive pad, 1 roll of painter’s masking tape, and two 10″ wooden stir sticks. Quart Bonus: Each Quart order includes 1 pair of latex gloves, an abrasive pad, & 2 10″ wooden stir sticks. 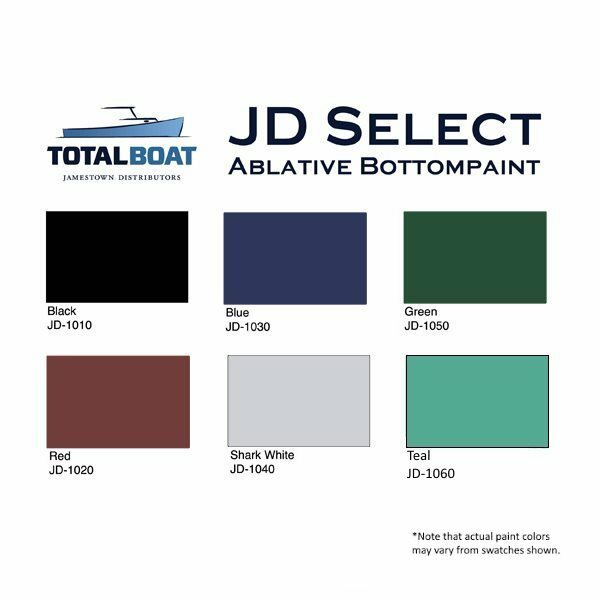 JD Select’s water-based formula is more environmentally friendly than conventional solvent-based bottom paints. But this doesn’t compromise its effectiveness, as its medium copper load keeps barnacles, slime, and weeds at bay in low to moderate fouling waters—often with just a single coat. Do-it-yourselfers can get a smooth, uniform finish using a 3/8″ nap roller and a foam brush for cutting in. 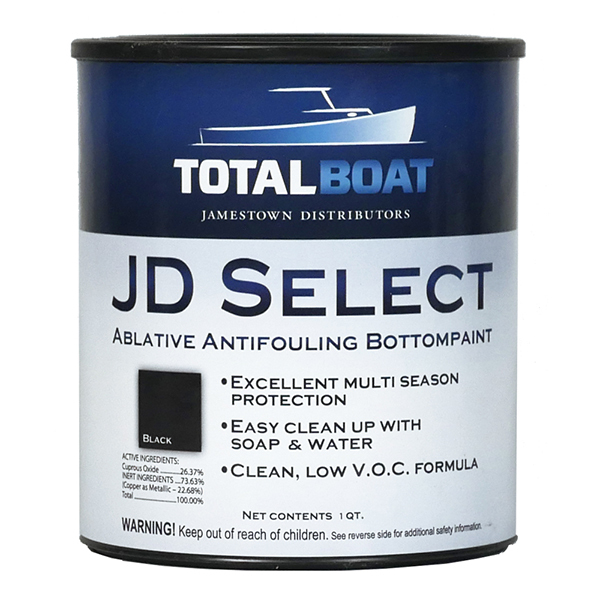 Because JD Select is water based, you can use water if the paint needs a little thinning; use soap and water to clean up. Depending on the temperature, JD Select can dry in as little as one hour. For best results, allow paint to cure overnight before launching. Not for use on aluminum hulls. 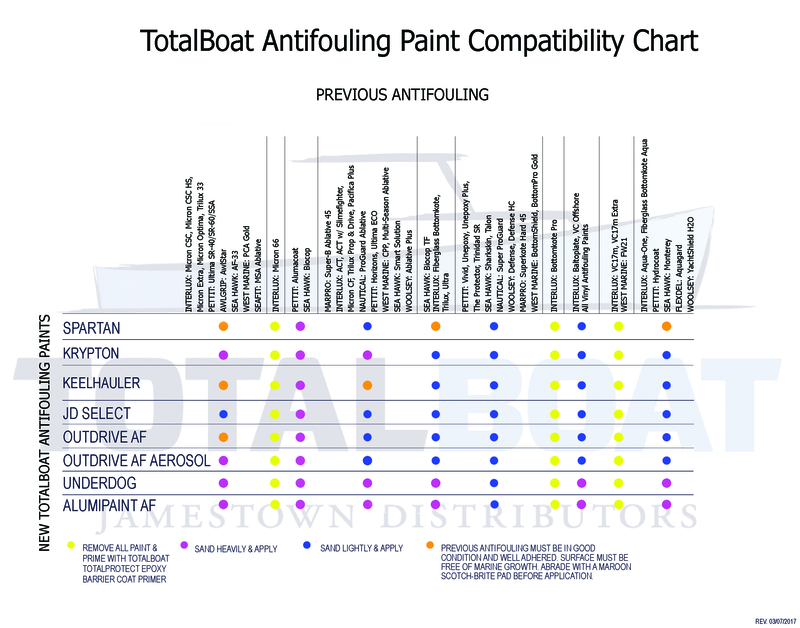 For aluminum and underwater metals, see TotalBoat Krypton copper-free bottom paint, TotalBoat AlumiPaint AF, and TotalBoat Outdrive AF.